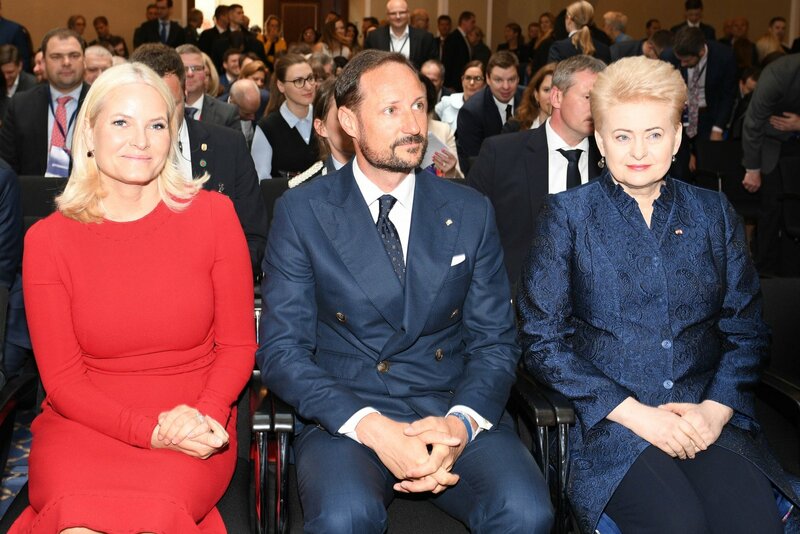 President Dalia Grybauskaitė accompanied by Crown Princess Mette-Marit of Norway and Crown Prince Haakon of Norway opened with plenty of splendour the Norwegian-Lithuanian Business Forum. About 250 are attending the annual Forum Forum in Vilnius's Kempinski Hotel. They were joined by a delegation of Norwegian 20 companies that are accompanying the Norwegian royal couple. The Business Forum is the largest annual event of the Norwegian Chamber of Commerce in Lithuania. This year the Forum's focus is on innovations and information, cybersecurity and defence technologies, with an emphasis promoting the cooperation, technology and knowledge transfers between Norway and Lithuania. A new agreement covering the period for 2014-2021 is going to be signed during this visit, providing financial support to Lithuanian society reducing social differences. That mechanism will see 115 million Euros provided by Norway, supporting financially Lithuania over the next five-year aiding and promoting business development, innovations and research and strengthen the areas of healthcare, social dialogue, environment and energy efficiency. Crown Princess Mette-Marit of Norway sketched in in her speech how Norway has evolved over the last hundred years from supplying herring to providing top-notch technology. 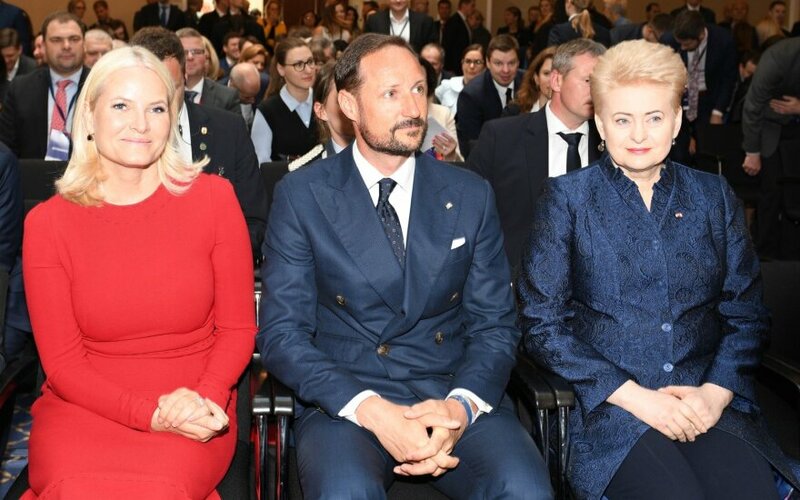 The Crown Princess applauded the trade and investment connection between Norway and Lithuania, a very strong one that sees Lithuania is also Norway's largest exports market in the Baltic States. The visit of the Royal couple and the President ended on a love note provided by Jurgis Didžiulis. His message of love and understanding brought a smile to all. In his own inimitable way, he pointed out the elements that Norwegians and Lithuanians can be proud of and what they share.